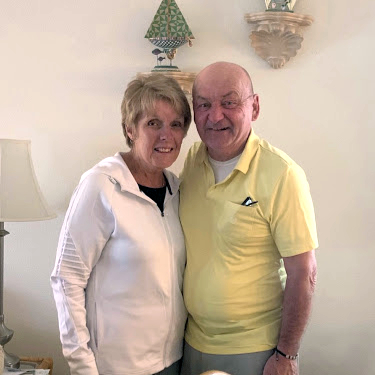 Meet Stan and Noreen Zysk, local residents and pillars of the community. Stan is a retired executive business leader from the technology industry who helps to welcome all of our guests for the Inn and Canal Side guest suites. With his service orientation and knowledge of the facilities and community, Stan will make you feel welcome and comfortable. Noreen’s joyful attitude and spirit adds to the spirited atmosphere of the Inn. She is retired from our highly rated school system and is responsible for making sure your room is clean and in perfect order. Our Allegro Room is named after the Allegro Shoe Co. was formed in 1949. 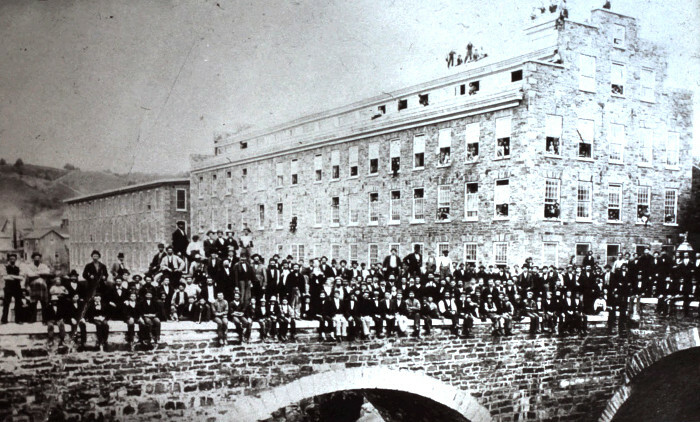 The company began the manufacture of ladies’ play shoes in the old MacKinnon Mill at the southwest corner of Mill and Ann Streets and employed between one and two thousand people. The building was demolished in 1987 and over the footprint of the old Allegro Shoe Factory now there are the gardens and industrial-style sculptures of Sterznar Park. Our Phoenix Room is named after the Phoenix Mill located at the northeast corner of Mill and Second Streets. 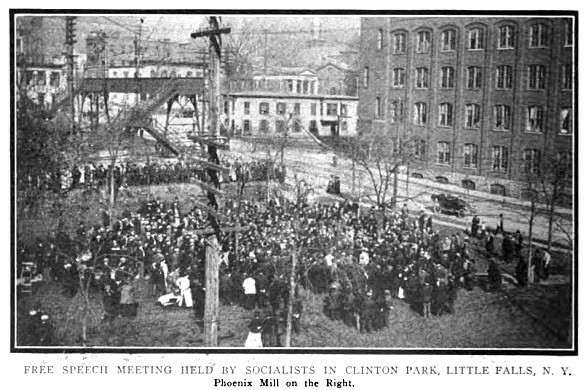 The mill was home of a lot of different companies through the years, from Burrows-Mohawk Mills, Little Frocks Dress Shop, Vincent Manufacturing Co. and Richard Dress Co. You’ll see in the picture, the Phoenix Mill in the background with a gathering of people standing up for free speech. Our Mohawk Room is named after the Burrows-Mohawk Mills. 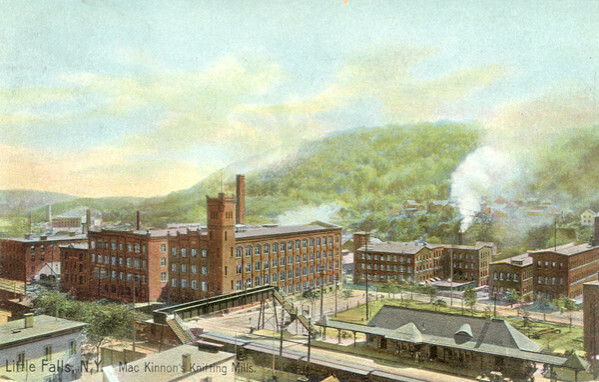 On February 3rd, 1903, the Hoffman Paper Co. was incorporated by William Hoffman, Rush Lewis, William Lansing and J. W. Thorp, and a mill was built near the end of West Main Street. The firm failed and was reorganized in 1913, with Charles Burrows as manager of the new company. During World War I business prospered. 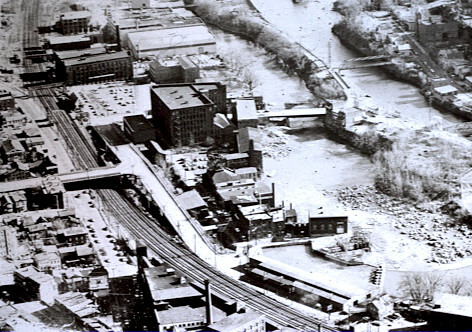 The old Little Falls Paper Mill on East Mill Street burned in 1916 and Charles Burrows and his brother Andrew Burrows purchased the building in 1920. 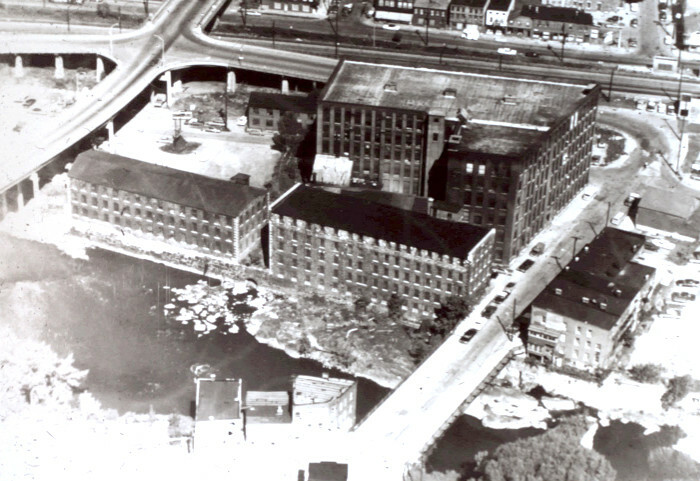 In 1954 the former National Automotive Fibres building was purchased as part of the Burrows-Mohawk Mills. 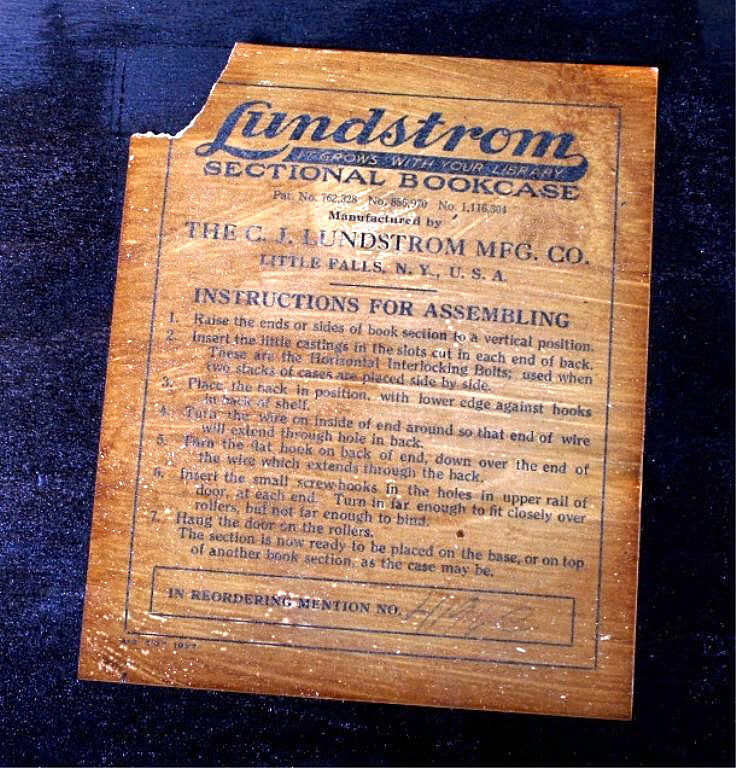 Our Lundstrom Room is named after the C. J. Lundstrom Mfg. Co. mill which has been manufacturing sectional bookcases for many years in the old Saxony Mill on Mill Street starting from 1904. The Saxony Mill has considerable history attached to it having been built in 1850 by Trumbull and French for the manufacture of woolen cloth and ingrain carpets. Our McKinnon Room is named after the MacKinnon Knitting Mills. The mills of Robert MacKinnon employed over a thousand people. 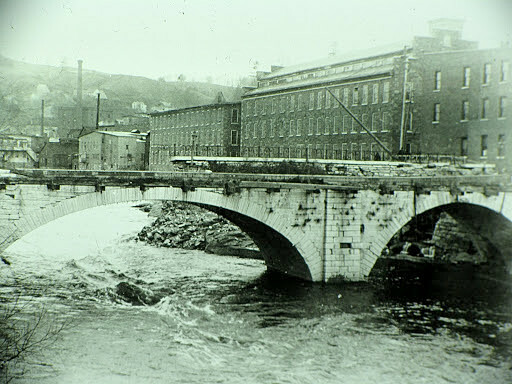 He came to Little Falls in 1881, and with two partners operated a knitting mill in the old Anchor Mill, which stood southeast of Lundstrom’s. 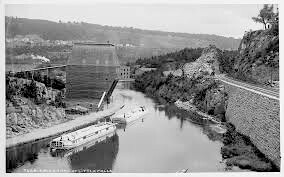 In 1887 he left the firm and built a mill on Second Street, north of Mill. Business prospered and in 1890 he built the brick building now standing at the northeast corner of Second and Mill Streets. In 1900 he built the building occupied by Allegro on Mill Street. Our Gilbert Room is named after the Gilbert Knitting Co. which is located at the intersection of West Main and Furnace Streets. As early as 1831 there was a water-powered paper mill on this site. After a series of other mills came and went, the Gilbert company began with J.J. Gilbert as a principal owner in 1872. Please visit the Little Falls Historical Society website for more information on the history of Little Falls.